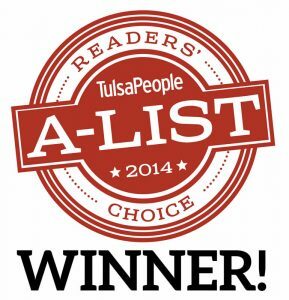 The Edwards Law Firm was voted one of the best law firms for Tulsans in the 2014 TulsaPeoples A-List survey. The A-List Directory in Tulsa is a go-to resource for Tulsans seeking recommendations on food, fun, shopping and services, such as a law firm you can trust. TulsaPeople asked readers to vote for their favorite places and services to do business between March 1 and 17 of this year. The final results will be published in the June 2014 edition of TulsaPeople. The Tulsa personal injury attorneys at the Edwards Law Firm have provided legal representation to personal injury victims in Tulsa, Oklahoma City, McAlester and more cities around Oklahoma for many years. The firm is proud to have been chosen one of the best law firms for Tulsans and looks forward to continuing to pursue justice in Tulsey Town for many more years.